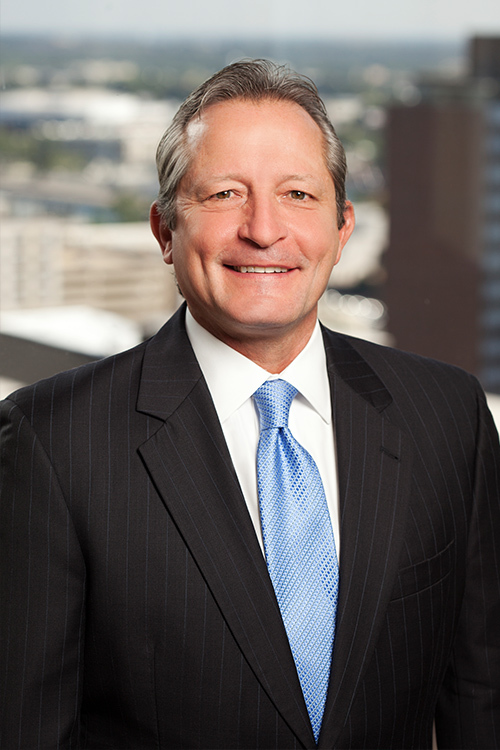 Harry Hamlin has over 20 years of experience advising numerous financial institutions, business entities, REITs and individual clients in all aspects of commercial transactions including complex lending and contractual matters as well as the conveyance, purchase, development and leasing of real property. He also counsels clients on municipal finance, tax exempt, tax credit and 1031 transactions. His expertise in securing liquor permits from the Alcohol Beverage Control division is invaluable to numerous locally and nationally owned restaurants, retailers, and hotels. Advises business and individual clients in all aspects of commercial transactions. Serves as counsel to numerous financial institutions on all manner of lending and transactional matters. Represents REITs, real estate developers, property managers, construction contractors, retailers and petroleum marketers concerning the conveyance, purchase, development and leasing of real property. Advises clients on municipal finance, tax exempt, tax credit and 1031 transactions. Counsel to various business entities with respect to the formation, merger, restructuring, acquisition, and sale of businesses. Experienced in utility regulatory matters subject to the jurisdiction of the Arkansas Public Service Commission. Advises clients with respect to aircraft and aviation-related matters. Represents restaurants, hotels and retailers in securing on-premises and off-premises liquor permits from the Alcohol Beverage Control division. Counsel to medical marijuana cultivation facilities, dispensaries and related industries. As a former Assistant Attorney General, represented governmental agencies in all civil and administrative matters.